I can't believe this year almost over! After taking this month off to spend with family and celebrate the holidays, it's good to be back and my last post of the year will be the best of 2015! 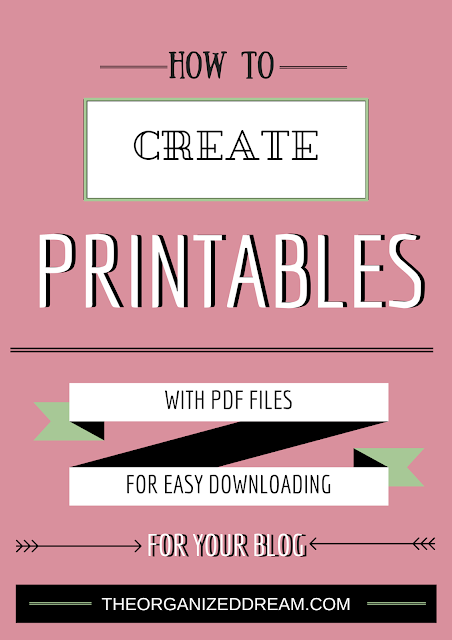 I came up with this post because I knew that there would be many people interested on how to make their own printables. I originally decided to tackle learning to do so because I saw so many great printables from other bloggers and on Etsy and wanted to create my own. 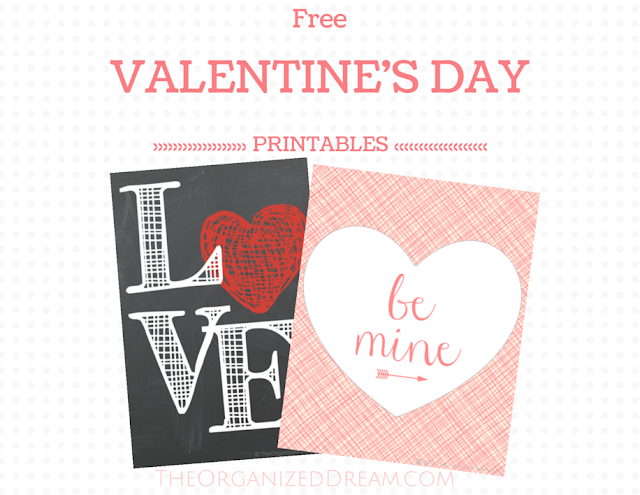 Sticking with the printables, the next post is all about Valentine's Day. This post received so much attention and I love that everyone has enjoyed them. With Valentine's Day approaching once again, stop by and snag a copy of your own. There are two to choose from! 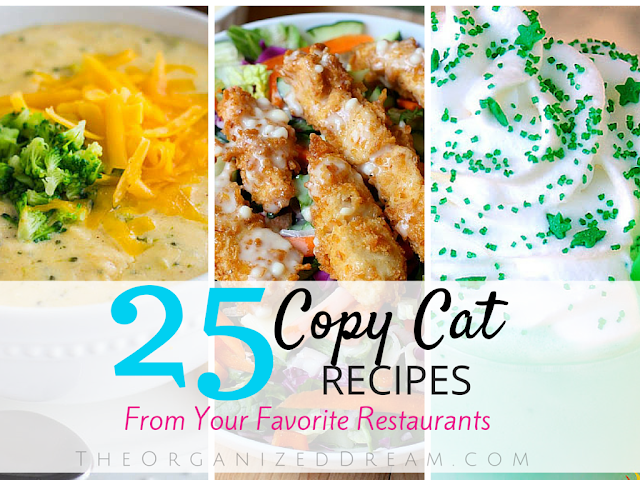 I honestly just wanted to share what I really liked from some of my favorite places and little did I know that everyone shared the same tastes as I did! 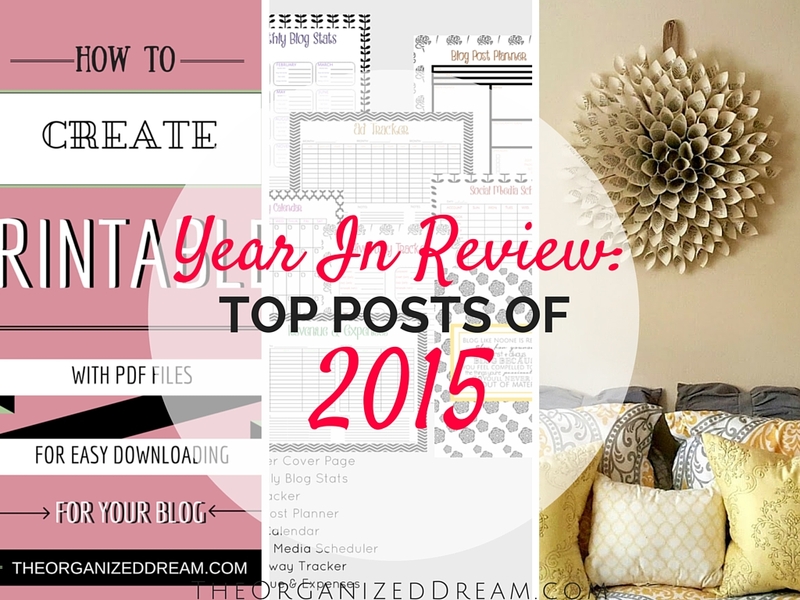 If you haven't checked this post out yet, do it! You're mouth will water! I saw so many Dahlia wreaths on Pinterest over the past year or so and needed to make one. I had my mind set on a big one and, well, I did. I made it out of book pages to better suit my taste and it is one of my all-time pinned posts! 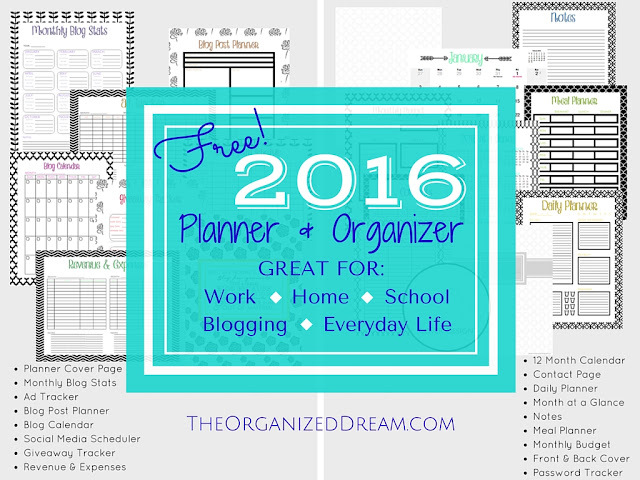 I created these printables because I could never find a planner that had everything I needed. It has become my most popular post this year and I'm proud to offer it for FREE! I've been very fortunate this year to progress this little piece of the blogging world and gain so many followers. I am truly grateful for everyone's support on and off the computer. This new year will bring so many great things and I can't wait! Here's to another great year! CHEERS!